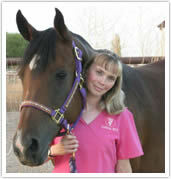 “ Jane shares her exquisite knowledge about horses and the art of dressage riding, geared towards benefiting the horse. She identified the challenges “all of us,” face, who muddle through without personal access to an instructor of the superb caliber of Jane Savoie. Then she used that wonderful brain of hers to figure out how to address the problstrong in several innovative ways. But, I HAVE to tell you my experience of Jane is her exuberant drive to help you learn the arcane art of dressage. She lifts me up and spurs me on. She is passionate, almost scary in the breadth and depth of her knowledge, and she adds in psychology to weave it all together. She is just darned FUN… and my experience is through her books, Happy Horse instruction and her online Mentorship program. 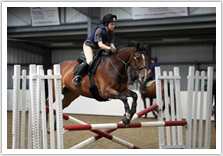 Firstly, she developed her “Happy Horse” instruction set, using the 3 ways people learn–visual, auditory and performance. She teaches with such precision that you CAN and WILL get it. Then she developed her online Mentorship program, and rounded it all out with a program for improving your position. 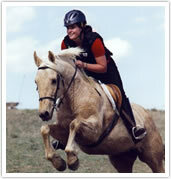 Who would have thought that the web could be used to help you really learn how to ride horses!! 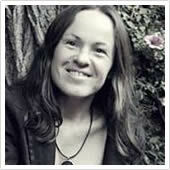 Sure, you think of written articles, but Jane uses audio, images and video. It is amazing how effective it all is. I want to share a VERY big success I had yesterday. 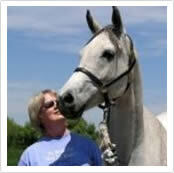 Long story short, I am following your Train with Jane program, and am a VERY proud Dressage Mentor member. Now, from someone else, my mother was told to go to a sharper bit. Talking to her I told her I did not think that was going to solve the problem. I told her I had a GREAT exercise for that mare, that I had learned from Dressage Mentors, and from Train with Jane. Well, my mom would kind of ignore me when I started to tell her. I think she thought I was crazy that I could solve this mare’s problem from a video lesson! So, I went to her house yesterday, to find my mom riding her mare in a western curb bit. The horse was all sweated up, was starting to rear, and bolt, even threw in a few bucks. I was so scared that my mom or the horse, or even BOTH were going to get hurt! I said, Mom, STOP what you are doing! Let her walk and calm down! I am going and getting a smooth snaffle bit, and I want you to try the exercise. So I did. I got her rhythm down first, and then started some suppling, and, NO LIE, by the second lap around the ring her neck was down, and she was chewing the reins out of my hands! It was like she was just melting in my hands! I said, mom this mare is so light in this bit! PLEASE don’t use sharp bit on her. Your techniques helped me raise my level of awareness sooner rather than later. Then with some clever ‘thought stopping’, I could zap the negative energy with electricity and a monsoon downpour to wash it away. My visualization practice made it all so real and effective…Then when it came down to a ride in the mountains, I had loads of confidence, felt relaxed, and was full of gratitude for my blessings rather than giving in to fears and self-doubt. Yesterday was “play day” with two of my favorite horse trainers, Kari Crawford and Cindy Loader. Our goal was to have fun and to get some good video of our young stallion, Grandezo. A young lady who asked to “intern” with my video company stopped by with her cameras (both video and still) to practice. Beth has ridden a little, but doesn’t really know horses well and wants to get in the horse video and photo business. We got my dear, trustworthy, Andalusian mare Lumina out for Beth to ride. I quickly could tell Beth had ridden before, but also realized she was confusing my horse. I used to teach riding (twenty years ago) and immediately recognized that my young friend needed a little refresher. I asked permission to put her on the lunge line so she could work on her position and not have to worry about where Lumina was going. She agreed. In moments I heard Jane’s buzz words from her “Program Your Position” DVDs coming out of my mouth while I coached my new student to help correct her position. It was like magic! From a head down, heels up, collapsed right ribcage, stiff armed novice position, to near perfect balance, head up, lovely erect dressage position, took about three minutes! Lumina relaxed, and so did Beth. It was beautiful! Jane’s buzz words flowed out of me like I was a seasoned pro, and my student’s improvement was IMMEDIATE! I am SO impressed with this program, and how easy it is to help a rider correct position. From there, anything is possible! Thanks very much for your Dressage Mentor work! I have EXPONENTIALLY improved my riding with both the technical (where was the systematic approach 20 years ago??) and the mental encouragement. “Thank you for passing on your wealth of knowledge to riders who don’t have the means to travel to lessons every day or weekly for that matter. I have been riding for close to 15 years and haven’t had much success. We both struggle with basic things that others seem to breeze through. 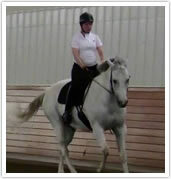 I signed up for Dressage Mentor and in 3 months, I have the horse that I have been trying to get for the past 15 years. “Dressage Mentor is the easiest way to increase your riding and training knowledge. It covers all aspects of the sport of dressage, and it helps you develop the physical, mental and emotional edge you need to be at your personal best each time you work with your horse. 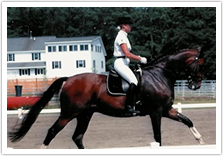 “When I first got back into horses after I turned 40, I began importing Friesian horses. Everyone knows Friesians are beautiful and romantic, but I have to say, early on, I wondered if I had got myself into a breed that I would never be able to ride! That’s about when I started receiving online coaching through Dressage Mentor. I would send Jane videos of our shows, and she would send an audio track back full of training suggestions, useful exercises, as well as pointing out the mistakes I was making. Since then, we have progressed steadily. I think that the online coaching system is very effective because I can take Jane’s suggestions, and try them out the next day. It makes me really THINK through things and become a somewhat of a problem solver on my own. Anything I can’t think through, I ‘Ask Jane’. 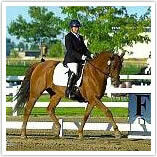 “I have been a part of Dressage Mentor since 2009. I love it! 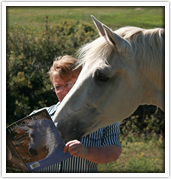 Early on in my membership, I sent photos to Jane for her to critique myself and my horse. My position and use of the aids has improved greatly. Now my horses can do their job better because I am a better rider. I have also sent Jane videos of me riding two of my four horses and we just keep getting better and better. Along with the solid dressage information and discussions that make my riding and relationships with my horses better, I am developing positive self talk and thinking through Jane’s motivational mentoring that goes along with everything she teaches. Jane is great at helping me overcome problems, whether they be the physical training and riding or the mental, emotional stuff of relationships with horses. 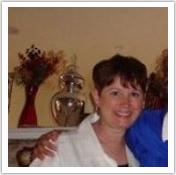 “I had a picture review, and I am so thrilled that Jane was able to help me over come things that I have struggled with for over 5 years. I am so happy with the progress that I made with my horse just off the picture. 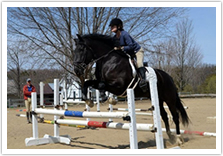 DressageMentor has made all the difference for me and all the horses I ride!”Julie K.
“I went to do the work you suggested today not expecting to see a difference yet. I thought it would take ages and loads of practice but my horse really benefited from this in one session! OMG! He turned into a different horse! Suddenly for the first time I felt his weight truly shift back. I felt him come up through the withers, his front end lightened, and he took responsibility for everything. I truly think he was enjoying it and rather proud of himself! “I’ve listened to all the CD’s a couple times now! So many, many things that you touch on are exactly what’s holding me back…It was a very small investment for a gigantic return! Thanks much for making it okay to have fears and for providing so many tools to knock it right down to a flea and flick it off our shoulders! Hey, I like it … a Fear Flea Flicker!” Joanne N.
“I just wanted to say I’m really enjoying your CDs and your really engaging way of presenting the material. It’s really helping me with my horse who doesn’t really deserve the mistrust I have in him and he’s getting duly punished by never being ridden outside of the indoor arena. I really am beginning to change my way of thinking, and am feeling like I’m more ready for anything that might occur. It feels a lot better and my horse thanks you!” Lauren W.
“I love this series! All your advice has been invaluable to me!” Michelle D.
I am in the process of rehab with my horse due to a shoulder injury and can only walk him at this time. What a great time to have received this program – what did you say Jane, it takes two weeks to create a habit? I definitely have that! 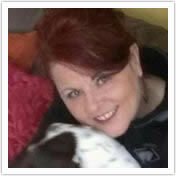 Great program!” Barbara B. “I down loaded all of the lectures and listened to them on a 22 hour road trip. I listened to them over and over. I visualized the techniques as I drove. When I got back on my horse, I could hear Jane’s voice. (After 22 hours I could hear her in my sleep too!) It was like she was in the arena giving me a private lesson! And, my horse is so much more supple now! With a more supple horse, everything is easier. We were struggling with third level. Now we are fine-tuning third level!